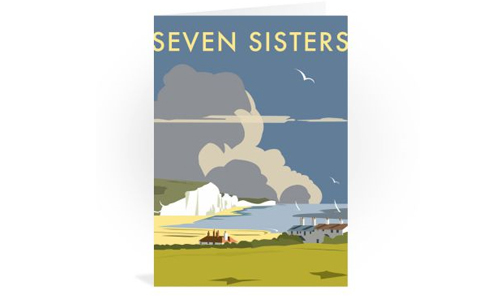 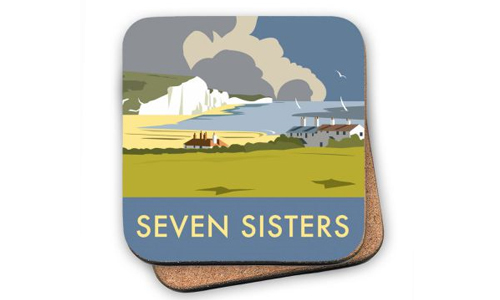 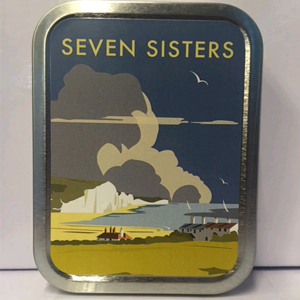 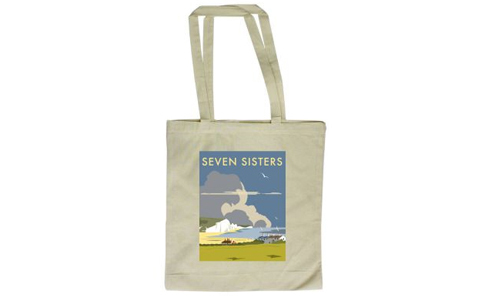 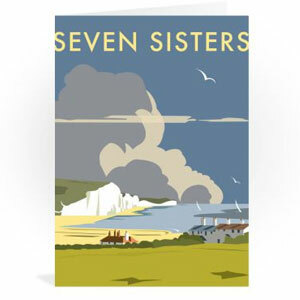 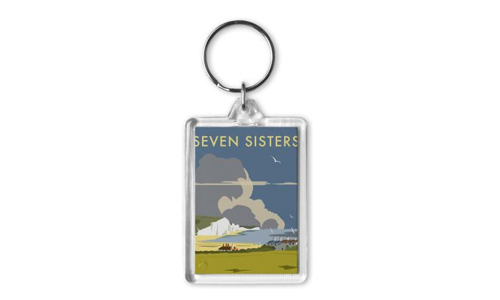 This fantastic Dave Thompson Illustration of Eastbourne's famous Seven sisters Cliffs is available printed on a range of Souvenirs. 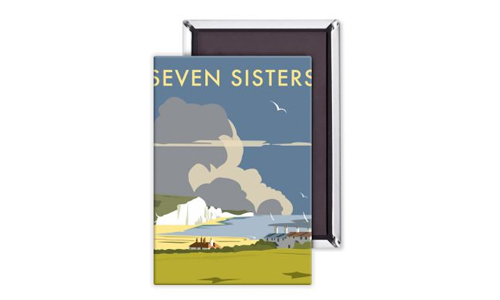 Blank greetings cards, magnets, acyrlic keyrings, coasters, tea-towels and tote-bags. 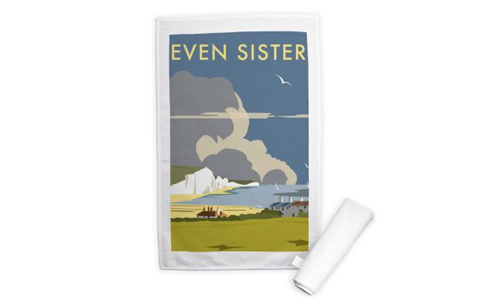 Souvenirs with similar illustrations of Beachy Head and the Bandstand are also available online.